Quilting Adventures: Living in the quilting moment .....! 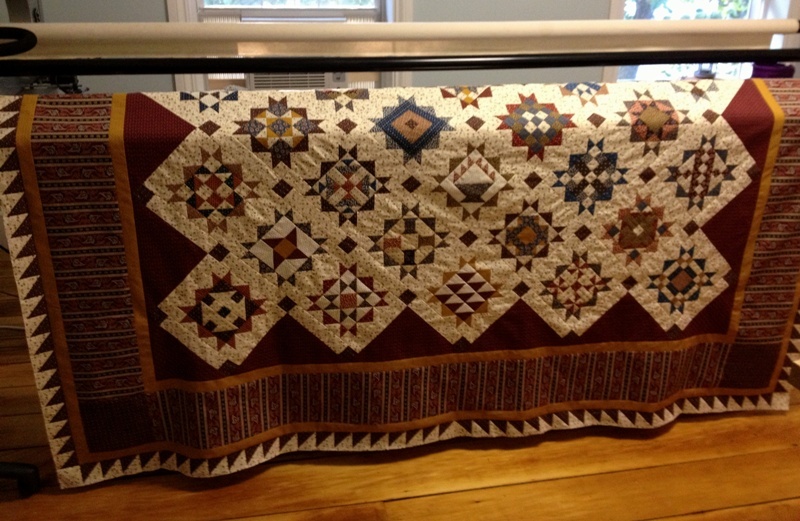 Those are both gorgeous quilts and beautiful work on them. I am making a simple runner and started sewing them on backwards, so decided it was time to give up, lol. Beautiful finishes! I need to work on doing the same thing. Wow -- great work! They both look beautiful -- Congrats on getting some of those UFOs whipped into shape! 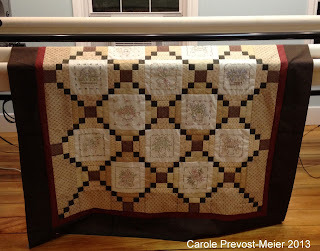 I just love both quilts. 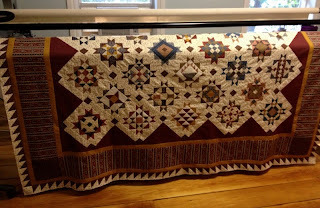 Your sampler quilt caught my eye. Love it!